Indian agent, MP (1871-1872), MLA (1871-1874), MLA (1875-1876). 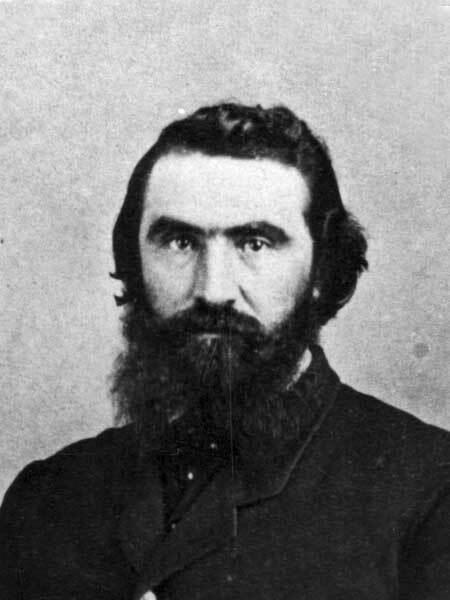 Born at Red River Settlement on 1 November 1836, son of James McKay, brother of James McKay. He settled in St. Charles Parish, later in St. Francois Xavier Parish (White Horse Plain), and then in St. Boniface. He was a defeated candidate to the 1870 Convention of Forty. McKay was elected to the Legislative Assembly of Manitoba by acclamation in the 1870 general election, for Lake Manitoba, and was re-acclaimed in 1874. He resigned in December 1876. A Conservative, he was elected to the House of Commons at a by-election on 2 March 1871, in a double return with James Lynch, and was declared elected 25 April 1872. He sat until the dissolution of the first parliament. He served as Indian Agent at Berens River for the last 19 years of his life. He and wife Virginia Roulette (?-?) had seven children: Mrs. Rowan, Mrs. Charles Whiteway, Mrs. William Coomber, Mrs. Stewart, James McKay, and Tache McKay. He died at Berens River on 1 September 1910 and was buried at St. Boniface. Angus McKay, Dictionary of Canadian Biography XII, 640-41. “Angus M’Kay dead,” Manitoba Free Press, 8 September 1910, page 13. We thank Connor Mah for providing additional information used here.